The Kansas City Chiefs are the only undefeated team in the NFL at 9-0. Not only is that a surprise to many NFL experts and fans, but the Chiefs seem to be winning games with a less-than-powerful offense and an opportunistic defense that is not only shutting teams down, but their “D” is putting points on the board. Last Sunday’s game against the Buffalo Bills was a perfect example. 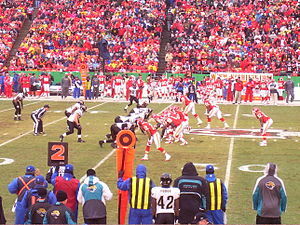 The Chiefs offense had nine possessions; they scored three times, but each score was a field goal. They did not have an offensive TD in the game. They did, however, have two defensive TDs; one an interception return, the other a fumble return for six points. Kansas City’s win without an offensive TD was only the second time that has happened this season. The New York Giants on October 27 defeated the Eagles 15-7 behind five field goals. Since 2000, teams that did not score an offensive TD in a game have won only 93 games and lost 590, a dismal .136 winning percentage. This season, it has happened 22 times with the Giants and Chiefs gaining the only wins. Last season there were 49 times when a team did not have an offensive TD; those teams won seven and lost 42.
won a game since 2000 when they did not score an offensive TD. The Cleveland Browns had the most games since 2000 with no offensive TDs with 51. The closest team to them were the Bills with 35. The Indianapolis Colts have had the fewest games with no offensive touchdowns since 2000 with seven. They are followed by San Diego with eight, New Orleans with nine and the Packers with 10. Here’s another interesting tidbit about Kansas City’s win over Buffalo on Sunday: The Chiefs defensive unit scored on an interception and fumble return. It was the fourth time this season that has happened in the NFL (the Cowboys, Rams and Bears each scored on an interception and fumble return in a game this year) and the 109th time since 1970 that a team had at least one interception return and a fumble return in a game. Teams that have scored in this manner in a game were 97-12 in those games, an .890 winning percentage. The last time a team has lost when they scored defensive TDs via an interception and fumble return in a game was in 2003 when Tampa Bay lost to Indianapolis 38-35 in overtime despite those two defensive scores. If you’re a defensive coordinator in the NFL, you’ve got to feel pretty good if your team heads into the locker room at halftime of a game and your opponents do not have any points on the scoreboard. But does pitching a shutout in the first half equate to ultimate success (read: victory) in that game? Let’s put some numbers to that question. First, there have been nine games so far in 2013 where a team has held their opponents to zero points in the first half. In those games, those teams that pitched the first-half shutout won nine and lost two. Two teams, Green Bay and Seattle, have held their opponents to zero points at half in two games in 2013. If we take a look back to 2004, teams that held the opposition scoreless in the first half have won 357 and lost 64, an .848 winning percentage. The Patriots and Steelers have each held their opponents scoreless in 22 games from 2004-2013, most in the NFL. Here’s a look at the number of games each NFL team held opponents scoreless in the first half from 2004-2013. The win-loss record in those games is noted in parenthesis. You probably noticed that three teams, Denver, Philadelphia and New Orleans, are undefeated in games since 2004 when they held opponents scoreless in the first half. The last time these teams lost a game when they held their foes scoreless at half were: Eagles (12/28/2002); Broncos (12/2/2001), Saints (10/17/1999). 99 Stats Until Kickoff (#93) When was the last time your team won a playoff game? 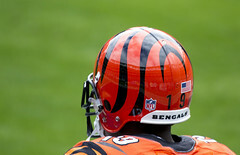 The Cincinnati Bengals had a chance this past year to end a 21-year drought with a win in the playoffs when they faced off against the Houston Texans in an AFC Wild Card game. 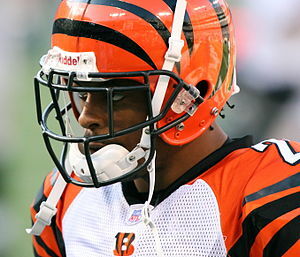 The Bengals have not won a playoff game since 1990. The Texans beat the Bengals in that Wild Card contest, thus extending Cincinnati’s streak of consecutive seasons without winning a playoff game to 22 years, the longest current wait for a post-season win in the NFL. There are now nine teams that have not won a playoff game in 10 years or more. The Tennessee Titans joined that list this past season when they failed to make the 2012 playoffs. Their last playoff win was after the 2003 season. Here’s a look at the last time each of the 32 NFL teams won a playoff game.